I don’t know why I like to read books about dying kids, but I’m really enjoy them. My excuse is that my students are drawn to them so I’m just doing “research” but I’m not so sure that’s true. Anyway, The Honest Truth by Dan Gemeinhart is good. Like heartbreaking good. The story centers on Mark, a twelve-year-old boy who has been sick with cancer on and off since kindergarten. He goes into remission and then relapses so many times that finally at twelve when the doctor calls and says it’s back and they’re not sure it’s treatable this time, he decides he wants to die on his terms so he runs away from home hoping to climb Mount Rainier. He sets out with his loyal dog, Beau and sends the authorities, his parents, and his best friend, Jessi, all into chaos as they scramble to find him before something bad happens. But for Mark, whose life has been all about bad things happening, this adventure is something that is his choice and doing when nothing else in life has been. Mark heads to Mt. Rainier to die. This book tears you up. You alternate between feeling sorry, angry, and happy for the main character as he has one last (and first) adventure so that he can die the way he wants to. When he wants to. Where he wants to. I think it goes without saying that I cried a few times while reading this one. But it’s good, and Mark, in all his twelve-year-old wisdom, makes some pretty good points about life and death and everything that happens in between. 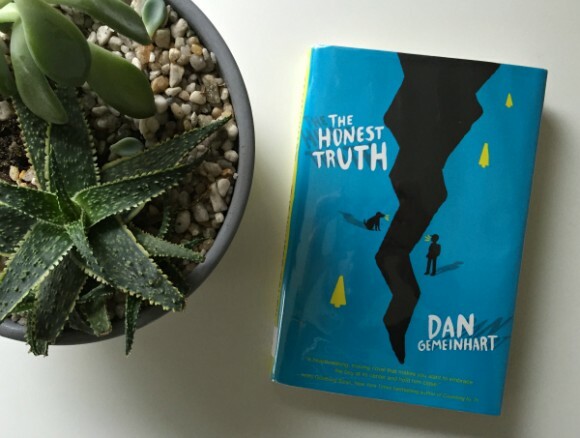 Read The Honest Truth by Dan Gemeinhart, I think you’ll enjoy it.